If you are thinking about assembling a collection, big or small, it is always best to lay out a plan of action before you start spending your hard-earned money. While this may appear to be common sense to most readers, you would not believe how many people fail to act accordingly. Planning ahead will help whether you collect autographs or trading cards, game-used bats or tickets, or a combination of many different types of collectibles. If you stick to a plan, it will ultimately result in a more enjoyable collecting experience. Listed below are 10 suggestions that will help a collector accomplish this goal. The first thing a collector should do is select a collecting theme. This takes precedence over everything else on this list. Not only will it help you stay focused on your collecting goals, it also will help you maintain your sanity! I have been guilty of not following this suggestion in past years but, when I decided to stop the insanity and stay focused, it enhanced my experience tremendously. Remember, even if you have virtually endless financial resources at your disposal, you can't own everything. It is always better to start with reasonable collecting goals and then branch out from there. If you want to build a collection around members of The 500 Home Run Club, you might start with single-signed baseballs, game-used bats, rookie cards or tickets. However, I do not suggest trying to collect all four at once. Even if you do, at least a theme was chosen, which many hobbyists fail to do. The key is sticking to the theme. Collectors are tempted, time and time again, to buy things that simply do not fit into the theme of their existing collection. When you appreciate great items, it's hard to resist the opportunity to buy something when the opportunity presents itself. If you collect autographs of Hall of Fame pitchers, it just doesn't make sense to buy a Magic Johnson rookie card and a Wayne Gretzky-signed puck. If you fall victim to your own impulses, you end up with a collection that has no rhyme or reason to it. A lack of focus will lead to serious frustration. The hobby has changed tremendously in the last 15-20 years and part of the evolution has been the advent of third-party authentication and grading. This has brought peace of mind to collectors across the hobby and provided a more liquid product to dealers who sell collectibles. Of all the benefits this service provides, perhaps none is greater than the simple fact that it helps remove the potential conflict of interest from a transaction. 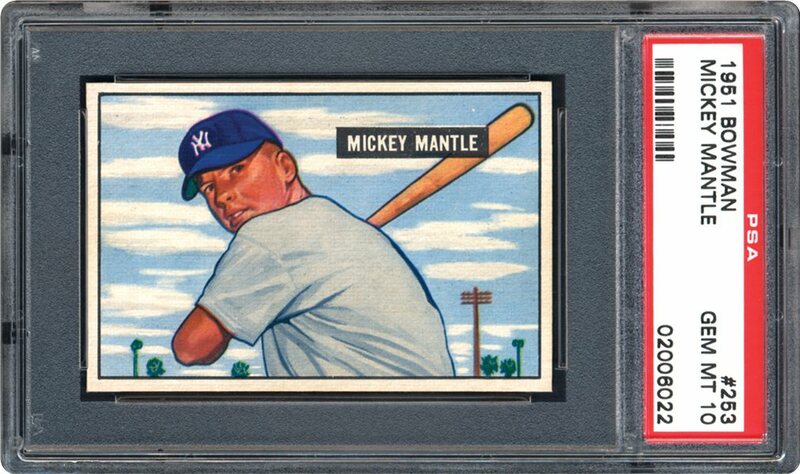 A collector approaches a dealer and asks about a Mickey Mantle baseball card on display. 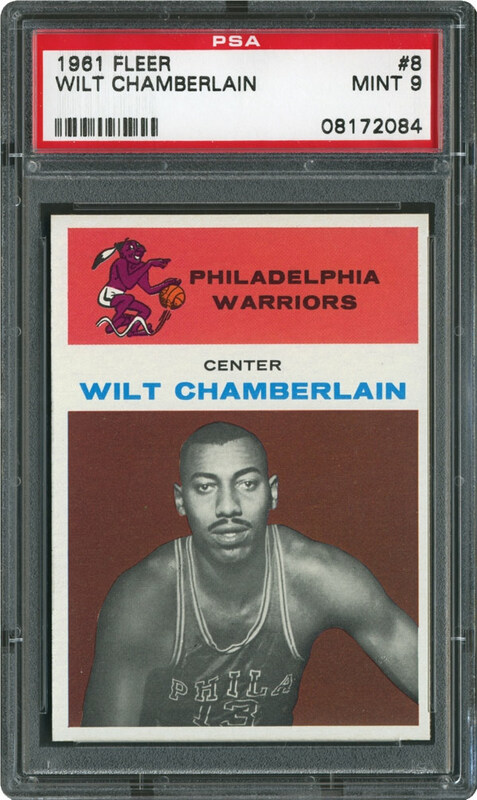 The dealer tells the collector how much it costs, which is expected, but the dealer also tells the potential buyer that the card is authentic and in Mint condition. This is where the problem lies. The same person who benefits directly from the sale of the item is the same person who is telling the collector whether or not it's authentic. The seller is also rendering an opinion about the quality of the item. This is a direct conflict of interest no matter how you look at it. This was simply how a transaction worked before third-party services emerged. This doesn't mean the dealer was trying to defraud the buyer in any way. It took time but hobbyists started to realize, both collectors and dealers alike, that the system didn't make sense. Then along came third-party services. Buying collectibles that have been authenticated and/or graded by a credible third-party will help protect you now and in the future. Even if you witnessed an item being signed yourself, if you decide to sell the autograph or hand the collectible down to a family member at some point, third-party certification will help you achieve the highest possible price for your item or protect the people you give it to. While the authentication of a collectible is of primary importance, the grading of collectibles is quickly becoming equally as important. After a hobbyist feels comfortable with the authenticity of an item, it is important that they understand the quality, how this item grades against like items in the marketplace. This way, the buyer knows exactly what they are getting at the point of sale. While third-party services do not offer grading for every kind of collectible, I would suggest using the service for collectibles that can currently be graded. 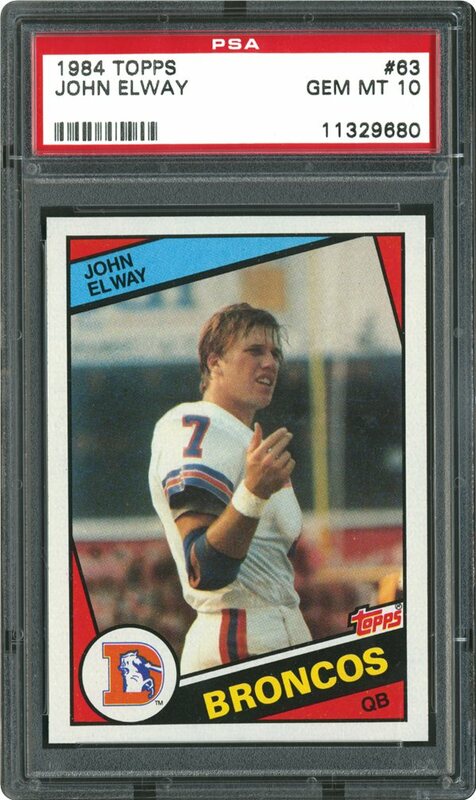 Grading is not limited to trading cards anymore. The grading of autographs, game-used bats, packs and tickets are just some of the newer services that have emerged in recent years. These services can help both the buyer and the seller. Finally, it is crucial that you learn how to distinguish between third-party services. 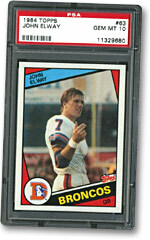 Anyone can generate a letter of authenticity for an autograph or merely place a trading card in a plastic holder. The key is the name behind the opinion. This is what ultimately carries weight in the industry and protects you, the consumer. Asking the right questions is a good place to start. How long has the company been in business? How many items have they certified? What is their reputation? What is their market share? How strong is their following? These are just examples, but do as much research as you can. Certified collectibles can reduce your anxiety as a buyer and increase your opportunities as a seller. This picks up where we left things at #2. You can never ask enough questions in this business, whether it's about a third-party service, a dealer, an auction house or a collectible. There is more information available to the collector today, primarily due to the Internet, than ever before. There are websites with ample information about collectibles, their history, their scarcity and their popularity. Take advantage of them! It surprises me that so many collectors start buying items, sometimes very expensive ones, without learning about them beforehand. If you were buying a car or a watch or a piece of property, you would want to know as much as you can about each item before you buy it. It should be no different here. Talking to experienced collectors and dealers can assist in the process, in addition to reading articles and guides about the hobby. Third-party services can help you remove doubt about the authenticity or grade of an item, which is great, but it's up to you to learn about the historical aspects of the piece. You can never know enough in this hobby. Even the experts will tell you that they learn more and more each year as new information arises. There's no question that certain collectibles require more extensive research than others. For example, it may take longer to understand what makes a piece of game-used equipment exceptional compared to what makes a baseball card exceptional, but you will be glad you took the time to increase your knowledge no matter where your interests lie. An informed collector is a happy collector. While buying certified collectibles is of primary importance, it is still imperative that you deal with a seller you trust and one who assists you with your collecting goals. This isn't just about being treated fairly as a customer; the seller can be a great resource of information as well. You can learn from his travels and experiences. Since dealers make their living buying and selling collections, they have seen more collectibles than most hobbyists can dream of. A good dealer is not one who simply sells you items at a good price. A good dealer is one who helps his customers learn more about what they are collecting, imparting knowledge on the people who support them. A good dealer is also someone who may be able to help you sell or trade the item once you decide to let it go. Remember, a good seller can be a good buyer or broker when the time comes for you to part with the item. If a dealer is not willing to support the product or assist you when you need to sell, that is usually a bad sign. The good news is there are sellers who have the knowledge and are happy to share it with you. There are also dealers who provide a complete service and are willing to build relationships with their clients. You just need to find them. Trust me; it will be worth your while. Research is the key. Talk to fellow collectors and peruse a seller's website so you can fully understand the track record of the person you are considering buying from. A good dealer can be a great ally. This is one many of us learn the hard way. We end up buying a bunch of items and then realize, after it's too late, that we have nowhere to put them! This is another issue that seems easy to avoid but I assure you it affects more collectors than you can imagine. It all comes down to your intent as a collector, whether you want to display your collection proudly in your den or tuck most of your items away in a safe deposit box. 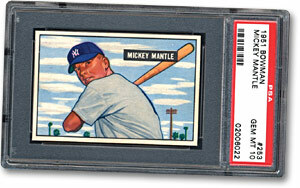 For those collectors who choose to display their items, this issue is a significant one. This is especially true for those who enjoy collecting larger items such as game-used jerseys, panoramic photos or vintage advertisement pieces. Even if you have a large home and think you have plenty of wall space, it can run out very quickly. Think of ways to achieve your display goals without mounting everything on the wall. For example, you can save a lot of space by displaying bats on a bat rack versus placing them in a wall frame. It is far more efficient and the racks make for fun displays. In addition, if you choose to display your collection, make sure you get it insured to protect yourself against an unforeseen event. For those collectors who prefer to keep their holdings behind lock and key, there are different options available, but it is still important that all options are considered before you start building the collection. Some collectors prefer to keep their prized collectibles at the bank or inside a large safe at home. This is understandable considering the value of high-end collectibles, which can reach five, six and even seven figures in price. The problem is that most safety deposit boxes are relatively small and most home safes are incredibly heavy and cumbersome. If you opt to go this route, make sure you have enough space to safely store everything you own. Thinking about space will help you reach a better place. As a collector, it is always good to be patient and look for a fair price. There is nothing wrong with searching for a good deal. However, when a collector's entire focus revolves around finding a good deal, it can lead that collector right into a trap. That trap is usually filled with items of poor quality and suspect authenticity. We all know collectors who fall into this trap; they become almost obsessed with the idea of finding an item for less than someone else can. Here is an example of the problem. 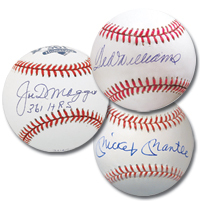 Most authentic Mickey Mantle-signed baseballs sell for at least $600 or more depending on their quality. If you see one available online for $200, your gut instinct should tell you there may be something wrong with the ball. When you become hyper-focused on bargain hunting, it is easy to overlook the obvious and ignore the red flags that could help you steer clear of the item. 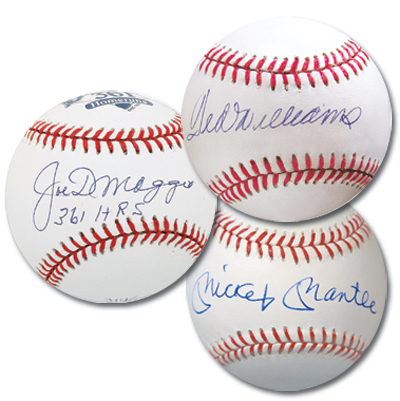 If all signed Mickey Mantle baseballs sell for $600 or more, odds are that ones offered for less are either in unattractive condition or an outright forgery. In collecting, there is truth to the old theory, "If it sounds too good to be true, it usually is." This is especially true in today's memorabilia market. With so much information available in the form of sales history websites, price guides and auction results, it has become virtually impossible to find good items at severely discounted rates. Most of the time, if a collectible is offered at a price that appears to be inexplicably low, there's a good reason for the low price which means it's a bad deal for you. Be price conscious but not price obsessed. We have already discussed how becoming a bargain hunter can negatively affect your collecting experience. While we all should try to buy sensibly and stay within our budgets, a focus on buying the best quality you can afford is a good thing. To make this abundantly clear, I am not suggesting that you squander your child's college fund or your retirement savings on high-end sports memorabilia. I simply suggest that quality should take precedence over quantity in this two-step process. First, you need to establish a fairly firm budget. I say "fairly" firm because you should be slightly flexible when it comes to budgeting, in case something unforeseen occurs. An unforeseen event may minimize your spending ability as a result of a necessary repair to your car or give you the option of increasing your budget as a result of a surprise bonus at work. The key is to establish a sensible budget based on truly disposable income. If you fail to do so, you will inevitably put unnecessary pressure on yourself and your family. Second, once you establish a sensible budget, you should look at your collecting goals and evaluate how changes in quality may affect them. As quality goes up or down, so does cost. 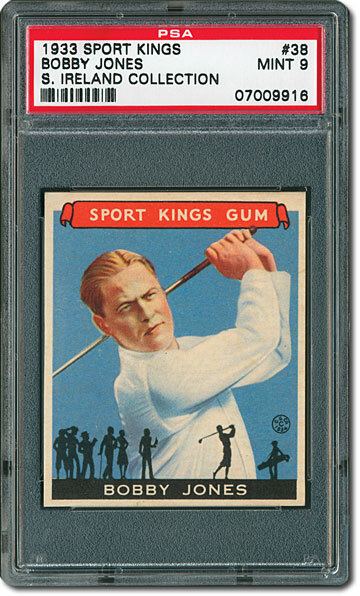 For example, for the price of one 1933 Goudey Babe Ruth #53 in PSA NM-MT 8, you may be able to buy all four Ruth cards from the set in PSA EX-MT 6's and NM 7's. Collectors have different tastes and different budgets. You simply have to ask yourself what level of quality will satisfy you and what your budget will allow. Over time, there is no question that collectors will pay for quality. It is a simple result of supply and demand. Top-quality collectibles always have a way of finding a home, no matter what the economic climate looks like. Even during some of the toughest times in the stock market, fine pieces of sports memorabilia have set records at auction because collectibles offer sentimental value in addition to possible financial gain. While there is never a guarantee that any item will actually increase in value or even retain value, you can never go wrong with quality. This can be one of the hardest things to deal with on the entire list. Most hobbyists have a real passion for what they do. It's difficult to tell them to shut that passion down, especially when they are looking to add something to their collection, one that may fill a hole. In general, collectors are programmed a certain way. What we call a hobby, some call a sickness! The reality is the vast majority of collectors keep this hobby in perspective so most of us can laugh about the light-hearted criticism. First, and most importantly, it is crucial for collectors to keep their emotions in check when bidding or buying. This goes back to the concept of sticking to a budget. There will come a point when a collectible reaches a dollar figure that you simply cannot afford. It's alright to let the collectible go if buying it means you have to liquidate your 401(K) in order to pay for it. By planning ahead, this should be avoidable. An emotional buy is never a good one. Along the same lines, be careful about sharing your desire to acquire something with sellers. It is one thing to give a seller a wish list so they can keep an eye out for items that you need, but it can be dangerous if you express a very high level of interest. For example, don't tell a seller you would be willing to pay any amount of money if he or she could track down something for you. If you show your cards so to speak (no pun intended), there are some sellers who will prey on you like a starving lion that just spotted an injured wildebeest straying from the herd. It's like a boxer who telegraphs his punches. They usually get knocked out cold. Now that I have scared you to death about controlling your emotions, it's time to flip this approach around. While it is of the utmost importance to manage your emotions for the sake of your own financial well-being, it is also important to take advantage of rare opportunities when they arise. Great items are hard to come by - plain and simple. 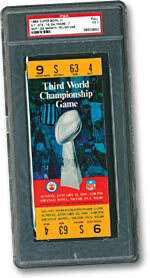 In fact, many pieces of memorabilia are unique or one of only a handful known to exist. Knowing this, make sure you are not afraid to pull the trigger when the time comes. If you become gun shy, you may regret it because some items only come around once in a great while. As long as that item is within range, take a chance. It might make sense to slightly overpay for an exceptional piece today, especially when you consider the sentimental value it may provide. You will be glad you did. Collect with your heart but buy with your head. Ah, the issue of provenance. 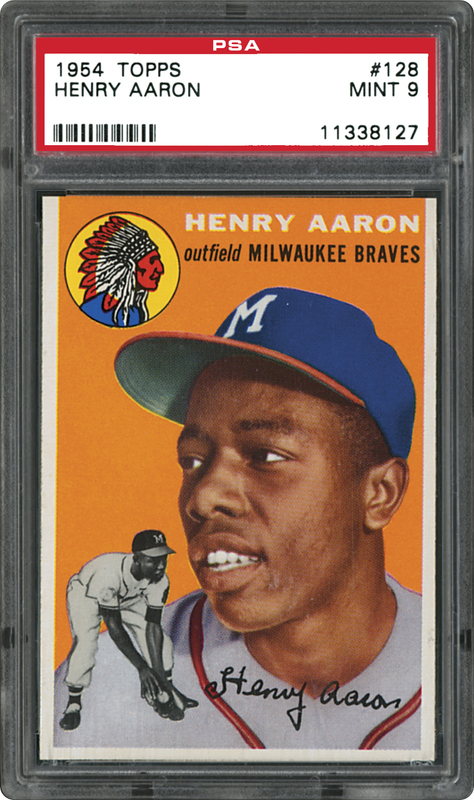 Its impact and importance may be the single most misunderstood aspect of collecting. In this hobby, provenance is usually found in some form of documentation used by a seller to support the item that he or she is offering. Some provenance can have a huge impact on the value of a piece while other forms of provenance do not. Let's explore this subject. The first thing that all collectors must understand is that provenance or origin should never take precedence over expertise. It is also not a replacement for expertise. It is very important that a collectible be able to stand on its own merit before provenance is considered. In other words, if you have a Ted Williams store model bat, a letter from a former player attesting to its use is meaningless because the bat will fail expert review every time. Ted Williams did not use store model bats, no matter what the alleged provenance tells us. The story changes if a professional model Ted Williams bat, one that exhibits excellent use characteristics and matches factory records, is accompanied by a letter from a former player. Now, the letter or provenance adds to the item. It is like icing on the cake. You now have taken an authentic piece of memorabilia and made it even better because the provenance provides an interesting story about the history of the bat. The provenance doesn't provide the basis for authentication but it adds value to the piece. In some cases, this may result in substantial added value. In addition, solid provenance is only valuable to the buyer if that provenance travels with the item. In other words, if the item is being sold as originating from a particular collection, estate or person, it is important that the buyer is able to use that provenance someday when it comes time to sell or trade. What good would it do you if I sell you something that allegedly came directly from Willie Mays if you have no way to prove that fact 10 years from now? Look for some tangible support documentation. If you are paying a premium, in part, for the provenance, then you should also be able to reap the benefits from that provenance down the road. The second thing that all collectors must understand is that provenance, assuming it is legitimate, may or may not affect the value of a collectible at all. 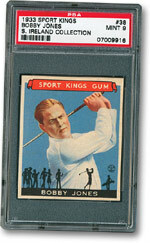 If things like prior ownership are important to most collectors, it can add great value. Let's keep going with our Ted Williams bat example. If the Ted Williams game-used bat was used to hit a meaningful home run and was presented to a notable person at one time, then the origin is relevant because it can help tell the entire story, not just the fact that it is a Ted Williams game-used bat. If we are talking about a Ted Williams baseball card, there are very few instances where provenance should impact the value since a card's value, assuming it is authentic, is based solely on condition. Finally, and most importantly, collectors must understand that some sellers will actually use false provenance to distract potential buyers from the merit of the piece itself. This has become more prevalent in recent times, especially as it relates to some high-value items. They will concoct an elaborate story, one that may include newspaper clippings or letters from members of the estate the item allegedly came from, all in hopes of taking your eye off the ball. Don't fall for it! A story is useless if no credible expert will authenticate the item. Most collectors will demand authentication before they buy it. Don't be fooled by fairy tales. Otherwise, you will be left holding the bag (or bat). Provenance can add great value but there is no substitute for merit. 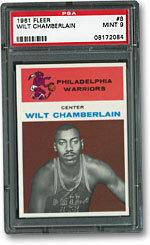 Let's face it, there is an investment aspect to buying sports memorabilia, no matter what types of items you collect. 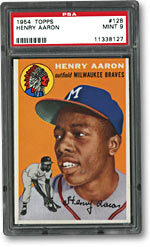 If you are going to spend your money on collectibles, you want to make sure you are getting a good value. That is important to all of us, but keeping balance between the collector and investor inside can be tricky. How do we stay true to what we want as collectors, while being intelligent about where we spend our money? First of all, and I would say this to anyone considering it, do not buy sports memorabilia if you are solely interested in making money. It can be a very risky proposition as very few individuals have the expertise, knowledge and foresight needed to make money. The reality is that none of us have a crystal ball. There is no way to predict the future. We can make educated guesses as to which items may have the best upside but no one knows for sure since collectibles can get hot and cold almost instantly. In addition, if all of your focus is on making money, the process can leave you with an empty feeling even if you are successful. Most hobbyists are what I would call collectors/investors, people who thoroughly enjoy the material yet, at the same time, are prudent about their purchases. This is the balance we are all looking for and finding that balance will help you achieve peace of mind about your collection. It feels good to buy something you want, and at a fair price. That way, you can justify buying that tough card you need for your 1955 Topps baseball set instead of buying that new lawn furniture. We have all been there whether we were trying to justify our purchase to ourselves or to our significant others! As collectors, we should appreciate the opportunity we have in this hobby. Think about it for a second. How many things can you buy that may retain most of their value or actually increase in value over time? If you buy a piece of furniture, a television or a car, as soon as you take possession of it, it tends to drop in value rapidly. This is not always the case but your chances of recouping your investment on items such as these are slim to none. That is not to say that these items will not be used and enjoyed, but some of them have expiration dates and others are substantially marked up at the point of sale. They are marked up so much so that their true market value is a mere fraction of what you paid. Secondly, it is important that collectors buy what they like. It is easy to get caught up in the hype of a hot product or caught up in what others collect but, in the end, you have to be satisfied with your collection. After a hard day at the office, you may want to disappear into your collection to take the edge off or be surrounded by the collectibles you enjoy in your sports den. It's about what makes you happy. Sports collectibles help bring back great memories for many of us and give us something that we can share with family and friends. Finally, it is important that hobbyists try not to let collector frustration prevent them from enjoying themselves and enjoying the experience that collecting provides. There may be times where you get frustrated because of your inability to locate a needed card or autograph for your collection. There will be other times where you may become frustrated with a fellow hobbyist or dealer due to the way you were treated. This is your hobby and it should be fun. Like any relationship, your collecting experience may endure some rough spots. It is never perfect. You will not always be able to afford what you want or find what you need but take it from those of us who have been collectors for many years, the experience is priceless. If it's not fun, it's not worth doing. There you have it. I hope these 10 tips can help you build the collection of your dreams and maximize your hobby experience. It can be an extremely rewarding endeavor if collectors create a plan of action, do their homework and keep it fun. Take it from a fellow collector, these tips work!